Less than a year away, with just 5 teams confirmed for the next year with Brazil the home side, and 4 Asian sides who finished their Asian World Cup qualifiers. 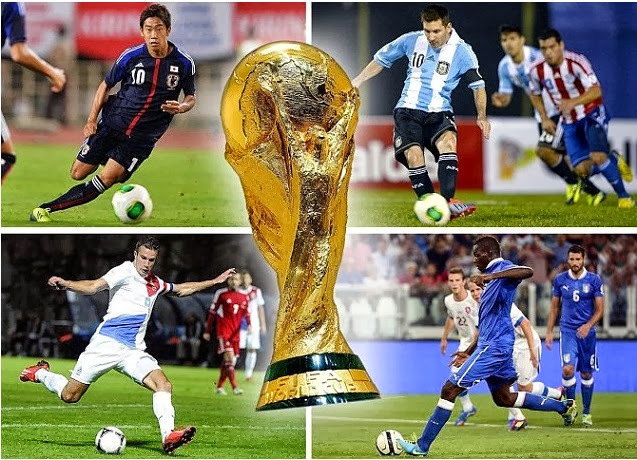 So its hard to predict who is going to win the competition but if we look at all the World Cup qualifers around the world we can safely assume some of the big nations who will be going to Brazil. With teams like Spain, Holland, Germany, Argentina, Italy, Uruguay, Columbia, USA, Belgium and so on are cruising in the qualifying campaigns its hard to see any major upset of a big nation not making it to the finals. 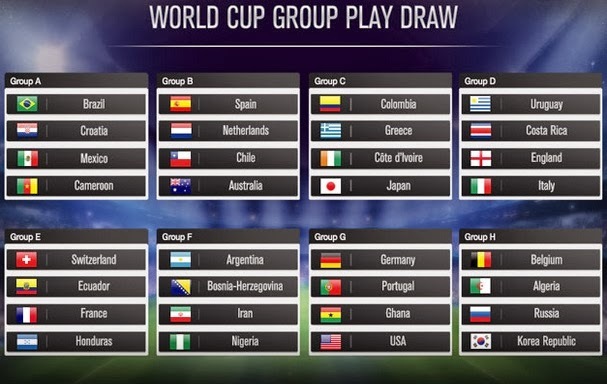 Lets first take a look at the 2014 World Cup Groups. These are my predictions for the FIFA World Cup final and because as we all know the bracket (knockout ties possibilities) as winner of “Group A” will take on runner up of “Group B” and so on. So according to that here is my knockout predictions. most of the groups are very predictable but it gets tricky in quarter finals. 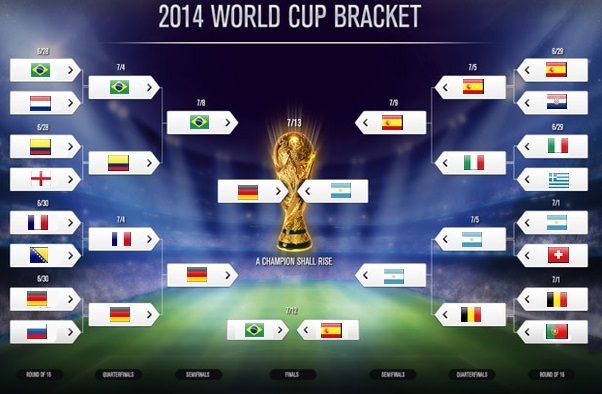 Now we are going to take a look how and why Germany vs Argentina final is a destiny ? If Germany and Argentina finish first in their groups, they won’t meet until the big final. Take a look at the above world cup bracket, Germany will meet either Russia or Belgium in first knockout round and in quarter finals they might face France. Should Brazil reach semifinal they are likely to face Germans. I expect Germany to finish of Brazil’s world cup dream in Semifinals and make it to the final. Germany squad is pretty balanced one compared to some other big nations their main strength is the depth of the squad as they can call world class players from bench to change the course of any game. Argentina on the other hand, probably has the best strike force in the world with Messi, Higuain, Aguero and Di Maria leading the forward line. They have couple of decent midfielders and defense is not bad either. In WC 2010 they were one of favourites to win but “Maradona circus” kind of distracted the team and they got knocked out early. This time around they look a force to reckon with specialy playing at very familiar conditions. They will meet either Switzerland/Ecuader in the first knockout round while in quarter-finals it will be either Belgium or Portugal. I expected Spain and Argentina to meet in the semifinals where Messi will be the difference who will lead Argentina to final against Germany. 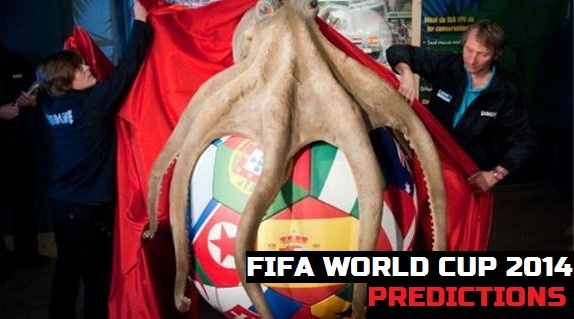 What are your thoughts and predictions for the fifa world cup ? do let me know in the comments blow and dont forget to catch live streams and match highlights on tsmplug, throughout the world cup.